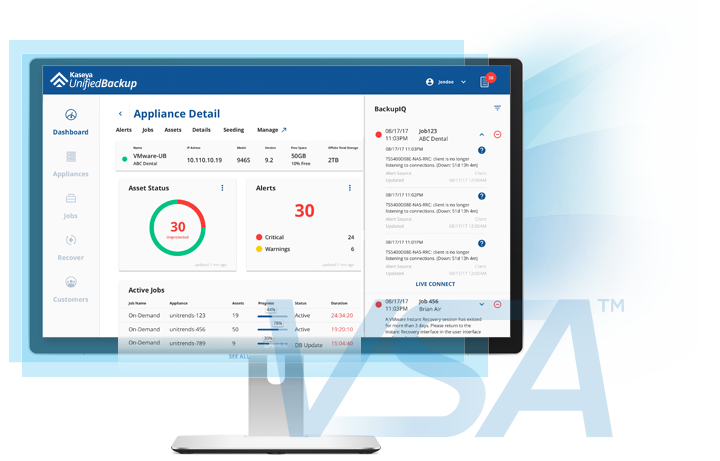 Built into Kaseya’s award-winning Virtual Systems Administrator (VSA), Kaseya Unified Backup brings together the world’s best backup, ransomware protection, cloud-based storage and business continuity and disaster recovery (BCDR) services in a powerful, all-in-one appliance-based platform that provides high-quality protection while minimizing service delivery cost. 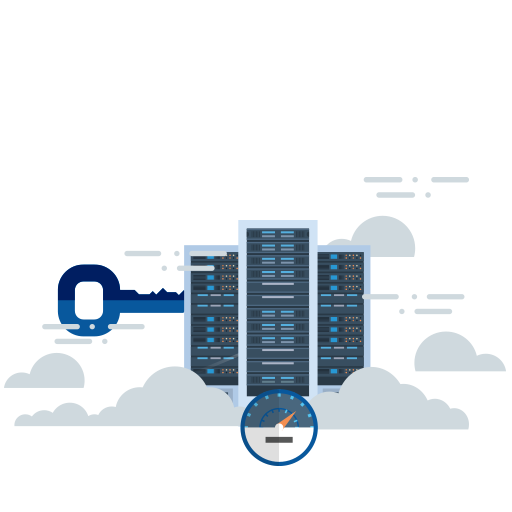 Stop losing sleep over missed backups and failed recoveries. 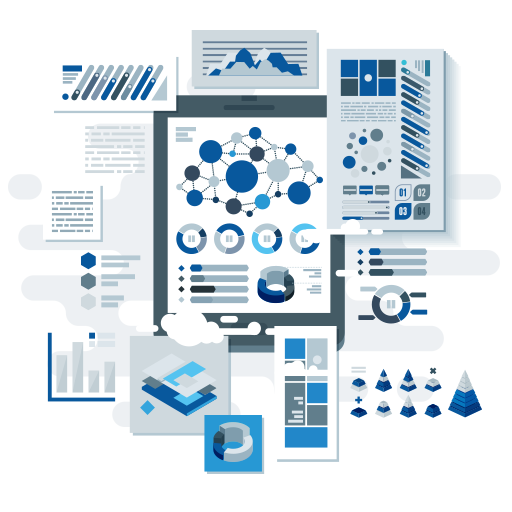 Be 100% confident that your data is protected and that you can restore and be running live in production in minutes – not hours or days. 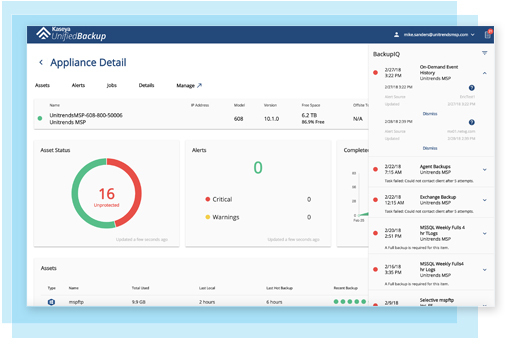 Kaseya Unified Backup is built-into VSA meaning you can leverage your existing investment for management, alerting and processes from a single pane of glass that your team is already familiar with. 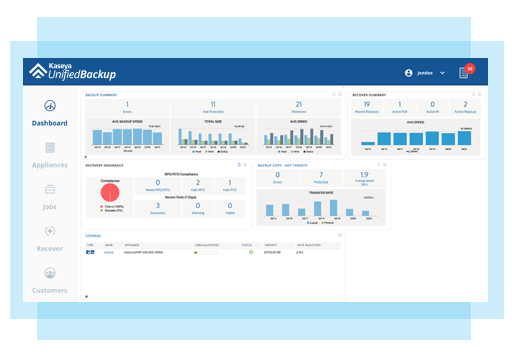 BackupIQ™, the industry’s only artificial intelligence backup assistant, automatically analyzes, prioritizes and automates critical backup and DR tasks so you can manage and expand BCDR services with your existing staff. Kaseya Unified Backup inspects every file during each backup for ransomware infections to ensure “clean” instant recoveries. 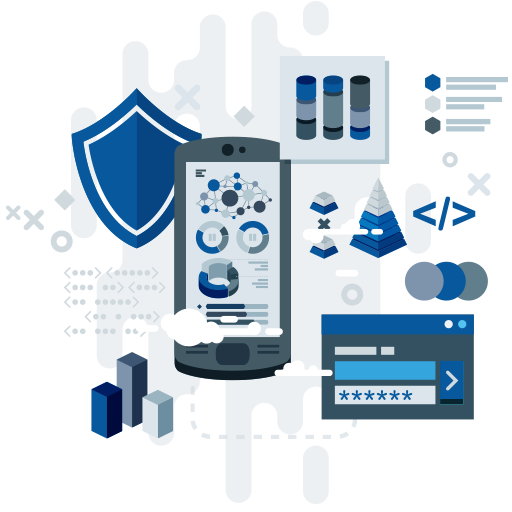 100% Automated testing ensures your backups will be ready when disaster strikes with the most comprehensive recovery assurance testing in the industry. Kaseya Unified Backup has your back, 24/7/365 so you can get in, get out, and get on with your day.